Dr. Carpio is the founder and owner of Park Lake Dental. She received her degree of Doctor of Medical Dentistry from the University of the East, a leading center in dental education. She worked as an associate at Broadmoor Dental for a number of years before establishing her own practice in 1994, where her philosophy of exceptional patient care came to life. Since then, her vision of transforming any challenge into a smile that lasts a lifetime has come to fruition. 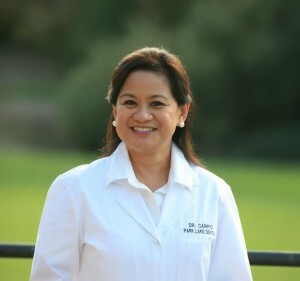 Dr. Carpio sports more than two decades of experience. As a purveyor of health, she leads with example. She is an avid marathon runner, a keen scuba diver, and a devoted mother of two, to Paolo and Angela, and wife to Ed, her husband of 24 years. Dr. Joyce is a proud graduate of the UCSF School of Dentistry, one of the top dental institutions. She is driven by her passion to improve smiles! 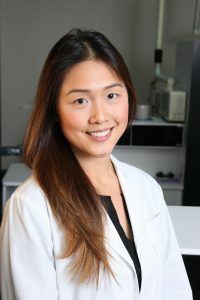 Dr. Joyce prides herself on her unique brand of work ethic; tailored treatment options that achieve not only a more beautiful and radiant smile, but more importantly a healthy smile that lasts a lifetime. A Bay Area native, she and her husband operate a small business in Oakland. When she’s not busy crafting magic on smiles, she likes to spend her time cooking, wine tasting, exploring restaurants and weight lifting!